Comedian and Daily Show regular ranter Lewis Black is bringing his new one man show, Running On Empty, to Broadway’s Richard Rogers Theatre for a six night run in October. 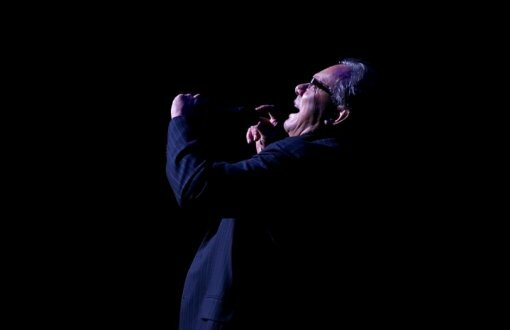 Tickets for Lewis Black‘s Running On Empty go on fan club presale on Thursday, July 26 at 10AM (that’s today), regular on sale begins Aug 6 at 10AM ET. In other comedy news, Porsche enthusiast and the king of observational humor, Jerry Seinfeld, is returning to the road this year with a brand new stand-up routine. Seinfeld’s last comedy special, I’m Telling You for the Last Time, aired live on HBO on August 9, 1998. For the first time in 14 years, Jerry Seinfeld is presenting full performances of his signature stand-up comedy in New York City. Seinfeld will perform five stand-up shows – one in each New York City borough – on five Thursday nights this fall. 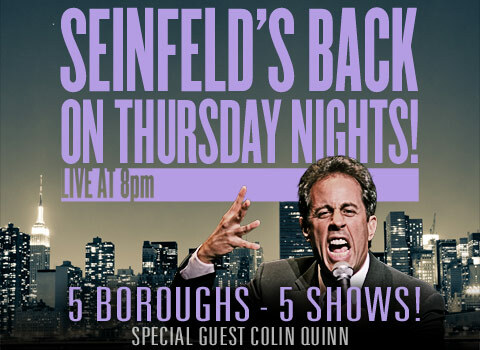 Jerry’s five borough tour stops on Oct 4 at Beacon Theater in Manhattan; Oct 11 at the Lehman Concert Hall in the Bronx; Oct 18 at the Colden Auditorium at Queens College; Nov 1 at the St. George Theater in Staten Island; and Nov 8 at the Walt Whitman Theater at Brooklyn College in Brooklyn. Tickets for the Brooklyn College show go on BC presale starting on July 26 at 10AM, the presale password is BCJS12. Some other shows are also on sale today, while the rest go on sale Monday. More Lewis Black and Jerry Seinfeld tour dates after the jump. 09/27 Warner Theatre Washington, D.C.
09/28 Warner Theatre Washington, D.C.
Next Post Louis CK Nominated for 7 Emmys, Win a Louie Poster!